Punta Cana is one of the most popular tourist destinations in the Dominican Republic and is a classic picture postcard destination with 25 miles of white sandy beaches over looked by palm trees swaying in the breeze as the shore is gently lapped by the Caribbean Sea. Situated on the eastern edge of Hispaniola, the island on which the Dominican Republic and Haiti stand and is of the Greater Antilles island chain, which is also home to Puerto Rico, Jamaica and Cuba. Punta Cana marks the beginning of a fantastically refreshing vacation in one of the most beautiful places on earth. From spa days to scuba diving, world-class dining to our Punta Cana Fishing Charters, the Bavaro Beach area and its perfect backdrop to any vacation. 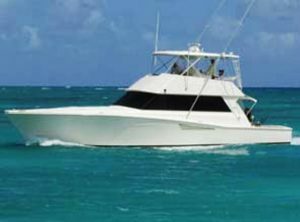 We are here to ensure your fishing charters in Punta Cana are one of the best experiences of your life. Punta Cana is the one of, if not the best destinations. There are many fishing charters operating in the area and not all are good. Sifting through them for the perfect one for you, can prove rather difficult, but no worries, we have the best ones for you. Our fishing crews have been fishing most of their lives, are highly skilled, and our Charters are considered by most locals to be the best charter operations. Punta Cana Fishing ChartersYOU CANNOT ASK FOR A BETTER DAY ! You cannot ask for a better day, just out with family, friends, on vacation, or perfect trip when visiting on a Cruise. Surround yourself within the perfect climate, enjoying the glaze of the Dominican Republic sun with soft ocean breezes. Join us for a Punta Cana Shore Excursion deep sea fishing,Punta Cana Sport Fishing excursion. Our Punta Cana Fishing Charters are a great choice for deep sea fishing. Punta Cana waters are world-renowned for their game fish. We will HOOK YOU UP with the best fishing experience! Let us help you REEL in some Great Memories! We have the best Punta Cana Fishing Charters and Fishing charters in Punta Cana. We also have the best Resort Hotel fishing charters, Punta Cana shore excursions, and Punta Cana cruise excursions. Let us help you REEL in some Great Memories! 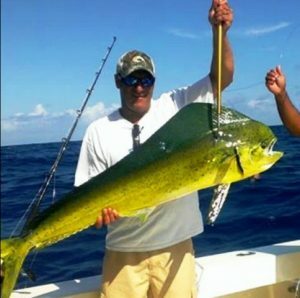 Punta Cana Fishing Charters- WE CATCH THE BIG ONES! 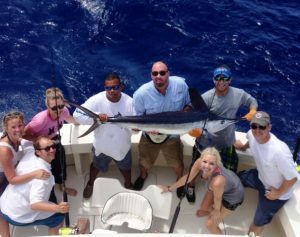 We have the best fishing charters in Punta Cana, including deep sea fishing charters in Punta Cana, Our fishing charters in Punta Cana, are a great experience and fun! Punta Cana Fishing Charters are known as what to do in Punta Cana, on a cruise or at a resort. Here you learned about the Punta Cana Fishing Charters. You learned exactly what to look for and expect. You are ready to with confidence, to reserve your Punta Cana Fishing Charters after communicating with us. Catching fish such as shark, sailfish, mahi-mahi, grouper,snapper, tuna, wahoo, and others is extremely satisfying and you will love the possibility and challenge! We collect no payment information at this time, but if you decide to book,we accept all major credit cards. Our Charters include All Equipment, Tackle, and Standard Bait and Fuel too!